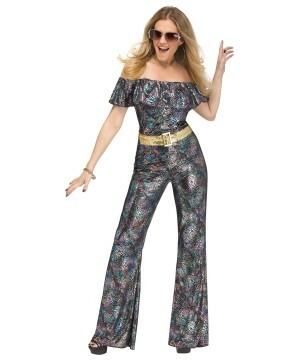 The decade of 1970s comes to town at some night club every night. 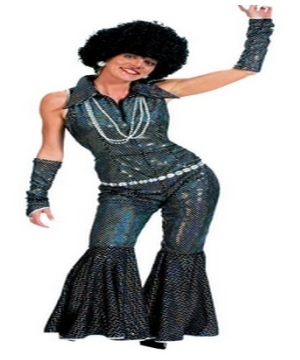 If you are attending a Disco party or simply want to remember the fun you had during these times, dress in a Disco Costume and reminisce about the days you actually goldfish platform shoes. We carry Women, Men, Girls & Boys Design. It was the mid 70's and New York's Studio 54 clubs was the "It" place to be. 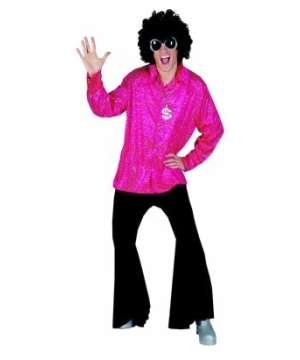 Men wore leisure suits with wide collared shirts and women wore bell bottoms with tight-fitting tops. Maxi Dresses were all the rage and metallic colors were everywhere. 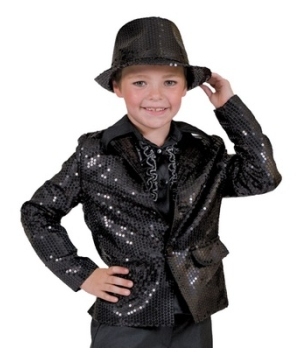 The fashion was eye-catching and meant to stand-out. 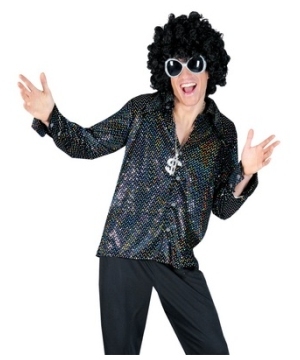 The radio played all your favorite dance tunes with artists like Donna Summer, Chic, ABBA, The Village People and The Bee Gees to name a few. 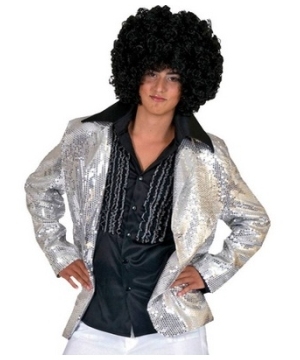 Funk, Latin and soul music were weaved into disco hits. The music was rhythmic, synthesized with big horn sections. You couldn't wait to get dressed up and "boogie" the night away, showing off your moves to dances called The Hustle and the "Bump". 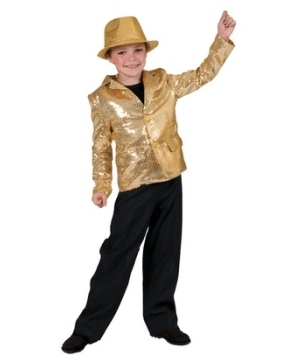 In 1977 a young actor by the name of John Travolta starred in a hit movie called "Saturday Night Fever". This movie earned him his first Oscar nomination for his unforgettable role as Tony Manero. Wearing a fitted white leisure suit and adorned with gold chains, Travolta took over the dance floor with his stellar dance moves. The movie soundtrack by The Bee Gees would go on to sell over 15 million copies. 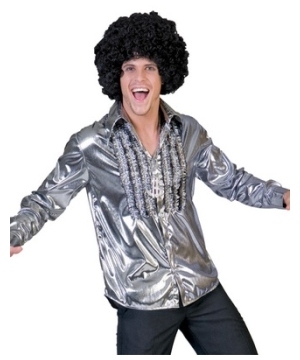 Disco was King. 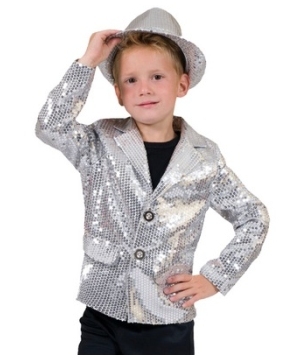 Go back in time to the hedonistic days of Disco with a selection of costumes and accessories. There are several options to choose from. 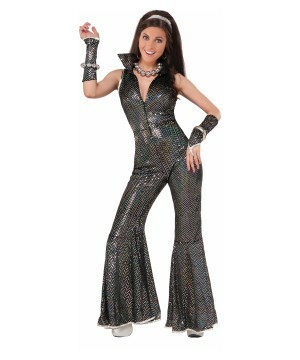 Ladies, you can pick up some Platform Heels, a Disco Mama Costume and 70 Disco Doll Adult Wig. 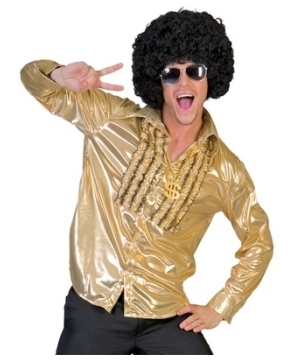 Men, grab a perfectly groomed Afro Wig and a Gold Saturday Night Shirt and a pair of Black Disco Pants.